You may have seen Bryan on Scouting's post about the 2018 Merit Badge Rankings. If not, we recommend it to provide some perspective on this key element of the Scouting program. While there, go ahead and subscribe to keep up with all the news. Reading down the page quite a bit, you can find the Radio Merit Badge ranked at 85 with the total number earned at 5,205. That's down from 2017 at 5,840 and well down from the all time peak of 7,208 in 2013. We know that many of you are running workshops and achieving great things in your district and council. Keep up the good work. 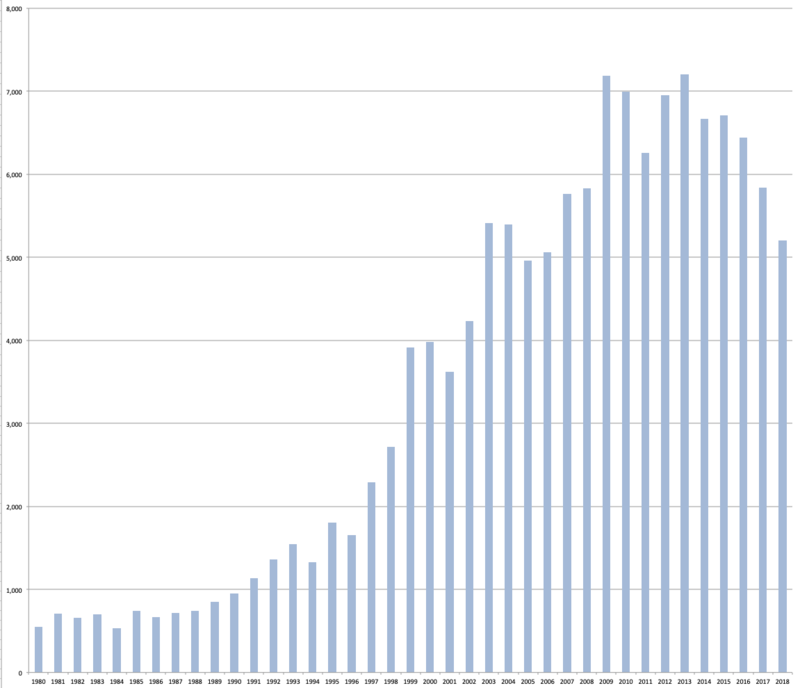 The chart below shows the number earned from 1980 to 2018. You can find further historical information at Radio Merit Badge History. 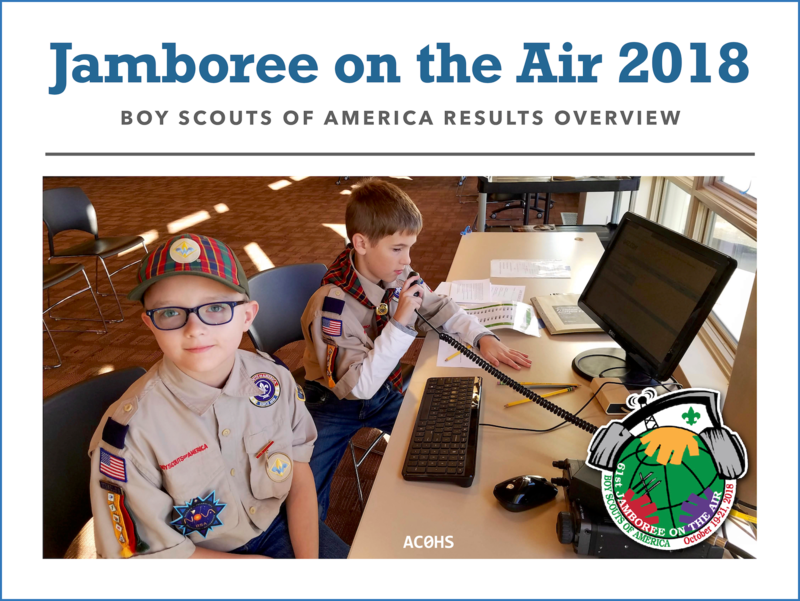 USA Jamboree on the Air total Scout participation increased 36% year-over-year in 2018, reaching 10,000+ Scouts. You can find the full report at USA JOTA Reports. 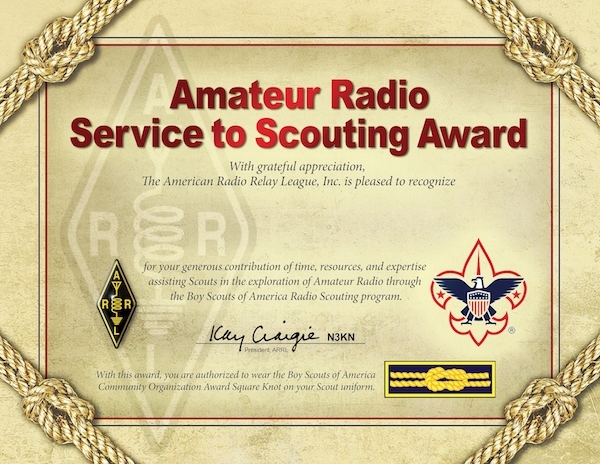 The ARRL has updated their Amateur Radio and Scouting page with information on the ARRL Service to Scouting Award. This includes a list of all those who have earned the award since its introduction in 2014. As of this writing, the list numbers 84. Look it over to find out if there are others that should be nominated. You can find the nomination form on the same page. When completing the nomination form, which advises that you complete it without informing the proposed recipient in order to avoid possible disappointment, we realize that you may need to talk with them to determine whether they've actually met the necessary requirements. Please feel free to work with the nominee to collect this information. Congratulations to all those who have received the ARRL Service to Scouting Award. Thanks go especially to Steve Ewald, WV1X, Supervisor of ARRL's Field Organization Team, for his work ensuring this award continues to be available and for pulling all this information together for publication.